Our investing, financial planning, and banking services are built on technology to make managing your finances delightfully easy. It can all be done on your phone and doesn’t require scheduling a meeting. Why should you choose Betterment? If you prefer scheduling meetings and talking to someone on the phone and don't mind paying higher fees to do so, Betterment may be the better choice. Why should you choose Wealthfront? We offer a technology-only financial planning experience at no additional cost. Forget disparate online calculators. 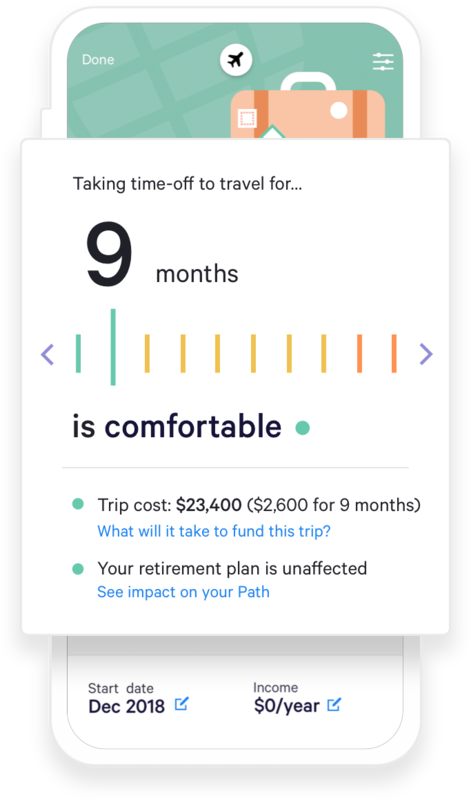 Built by our team of PhDs, our all-in-one planning solution helps you explore scenarios like homeownership, early retirement, time off for travel, and covering college costs. We’ll show you the tradeoffs of your decisions and provide actionable advice to take action. Get answers to 10,000 financial questions straight from your phone – no appointment with a financial advisor required. Invest while keeping fees and taxes low. Through our software-only approach, we invest your money in a globally diversified portfolio of low-cost index funds, and our tax-loss harvesting strategies help lower the taxes you pay. 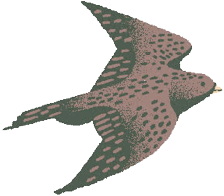 In fact, we are the only company of our kind to publish the actual results of our tax-minimizing strategies. Software can handle the routine financial tasks better than a person ever could. We don’t employ financial advisors who drive up your costs. Instead, we’ve built a higher quality version of the software that advisors use and put it straight in your hands through our mobile app. Our financial solutions are beautifully designed, accessible from anywhere, and personalized to you. Need to access cash fast but don’t want to sell your investments? We can help. Secured by your investments, Portfolio Line of Credit lets you borrow money to meet your needs without disrupting long-term goals. It takes one click to request cash, and you can access the money you need in as quickly as 1 business day. Let us optimize and automate your finances. This material has been prepared solely for informational purposes only, and the information provided is as of October 31, 2018. 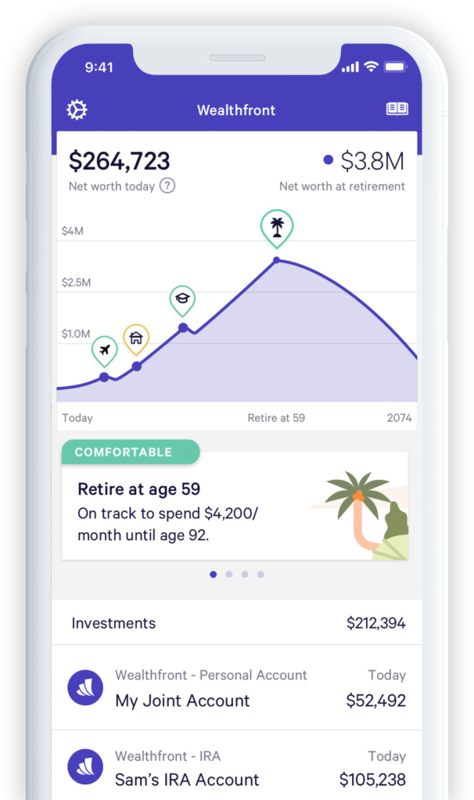 Wealthfront Software LLC offers a software-based financial advice engine that delivers automated financial planning tools to help users achieve better outcomes. 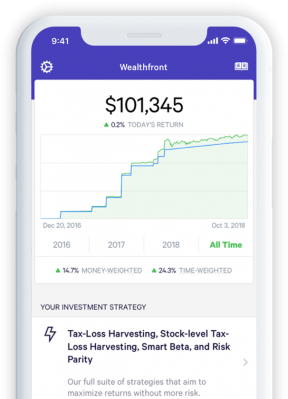 This software-based financial planning tool is made available to investment advisory clients of Wealthfront Advisers LLC free of charge, through a contractual arrangement between Wealthfront Advisers LLC and Wealthfront Software LLC. Investment management and advisory services are provided by Wealthfront Advisers LLC, an SEC registered investment adviser, and brokerage related products are provided by Wealthfront Brokerage LLC, a member of FINRA/SIPC. Wealthfront Software LLC, Wealthfront Advisers LLC and Wealthfront Brokerage LLC are wholly owned subsidiaries of Wealthfront Corporation.